Discrimination, in numerous forms, continues to plague campus communities. These three modules from Building Community focus on awareness and prevention of various kinds of discrimination. 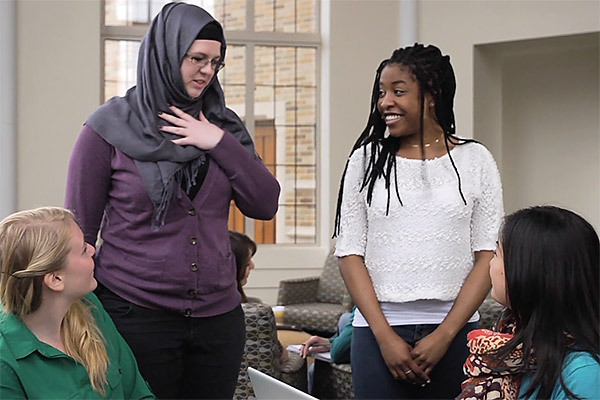 Covering the range of discrimination, these modules bring understanding and patience to fostering community amidst the cultural diversity unique to your campus. Learning about other religious perspectives expands awareness, and leads to healthy and respectful conversations with others from various belief systems. This module enhances the individual and communal experience of freedom of religion by providing practical information related to religious discrimination and religious bias. Participants learn to promote a healthy and safe campus community by respecting the dignity of others. How Can We Help Solve Your Training Needs?